Cannabis legalization and use is expanding to every corner of the world. While North America is seeing explosive growth and progress with progressive cannabis policies in both Canada and the United States, Europe, Asia, and other major regions of the world are experiencing an increasing amount of marijuana reform as well. Let’s not forget some of the smaller pockets of civilization closer to home and how cannabis is impacting them as well – namely, the Caribbean. While Jamaica is known for its cannabis use and culture and is home to reggae music and Rastafarians, other smaller islands could be playing significant roles in the legalization of cannabis as well. Cannabis is no stranger to the Caribbean, and top-quality flower is by no means restricted to Jamaica. Outstanding sativa strains like Lamb’s Breath are the crop of choice among marijuana consumers in the Caribbean, and the potential for a lucrative market there is huge. The Caribbean islands of St. Vincent and the Grenadines are definitely preparing for increased involvement in the cannabis space. During mid-November of 2018, a government official to the island states went on record with announcing upcoming plans to make the region a prime growing location for organically certified medicinal cannabis. Plans are so ambitious that the Caribbean could become one of the largest cannabis producers in the Western Hemisphere. Minister of Agriculture, Fisheries, Forestry, Labour, and Rural Transformation Saboto Caesar has noble and ambitious plans for marijuana on the islands. Caesar says that the industry has the potential to transform rural communities, while simultaneously providing much-needed medicine to patients who need the health benefits cannabis provides. “The production of cannabis for medicinal purposes provides an excellent opportunity for Small Island States to further diversify possibilities for farmers to secure sustainable livelihoods,” Caesar said. Then, in December, St. Vincent and the Grenadines became the first in the Eastern Caribbean States to pass legislation, the Medical Marijuana Industry Bill, that allows for the decriminalization of cannabis for scientific and medicinal purposes. The legislation allows for the cultivation of cannabis under a tightly controlled and managed system. Another legislative milestone was reached as well, with the approval of the Medical Marijuana Amnesty Bill. There was a third bill, the Permitted Use of Cannabis for Religious Purposes Bill 2018 that was withdrawn. Its removal occurred when members of the Rastafarian population told legislators that a bill couldn’t give them permission to use marijuana, which they consider to a religious sacrament. Caesar spearheaded these legislative efforts. While Jamaica no doubt leads the Caribbean islands in regard to its reputation for producing high-quality cannabis, St. Vincente and the Grenadines are poised to steal its thunder and capture the cannabis limelight for the region. Each enjoys a similar mild climate, and St. Vincent and the Grenadines are ready to ramp up production to a massive scale before Jamaica. “SVG’s growing conditions are suited to producing the highest quality grade medicinal cannabis available on the global market,” Caesar said. Cannabis is a hot topic on the islands of Trinidad and Tobago as well. Opposition Member of Parliament Barataria Dr Fuad Khan is an advocate for the legalization of marijuana on the islands. He believes Trinidad and Tobago should begin the process of legalizing medical marijuana. “Trinidad and Tobago need to join the march towards decriminalization of marijuana, particularly for medical use” he said in a statement on April 19, 2018. “On the occasion of 4/20, I once again renew my call for the decriminalization of the use of marijuana. In my contribution to the budget debate in Parliament on October 11, 2017, I pointed out the many benefits to the economy by legalizing marijuana, its medical uses and the need to desist from criminalizing young men in particular for using small amounts. I went to great lengths to show the benefits but the current government has constantly ignored all calls for changes to the law. Prime Minister Dr. Keith Rowley when asked about the legalization of marijuana in 2015 said that while the issue might be ‘fashionable’ at the moment, it isn’t a priority for his government. This government’s continuing failure to broach matters of national importance has become a serious drawback when it comes to our society evolving based on science, pragmatism and common sense. 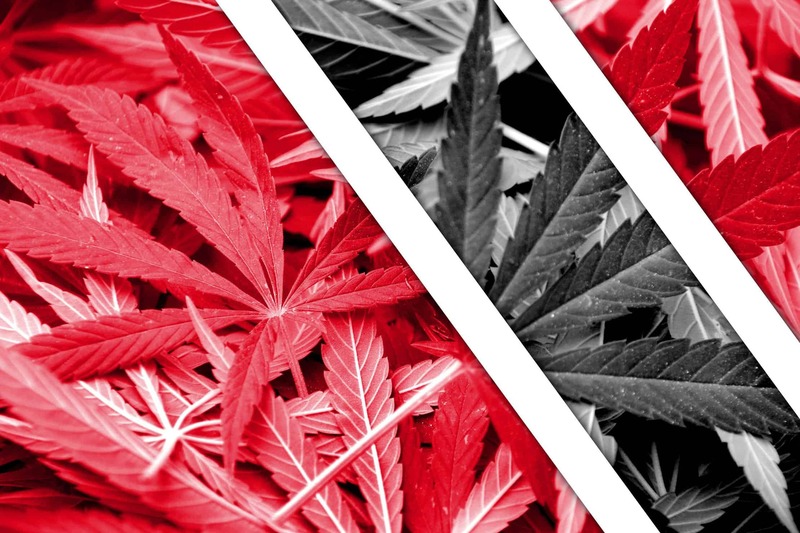 The government of the Republic of Trinidad and Tobago plans to review its marijuana policy in 2019, and possibly make legislative moves to decriminalize it. The illegal use of the plant has led to a huge number of arrests and jail overpopulation. With rapidly changing views about cannabis worldwide, Trinidad and Tobago recognize the possible need to re-evaluate its laws. Antigua and Barbuda have made steps toward decriminalizing marijuana for personal use, and the Cayman Islands already legally imports cannabis oil. Puerto Rico legalized medical marijuana in 2015, and as a United States territory, it appears to be aligned with marijuana legalization in most of the U.S. The U.S., British, and French Virgin Islands are other regions for possible cannabis reform. The U.S. Virgin Islands have already taken huge steps toward sensible changes to its marijuana laws by changing its possession penalties. For those who possess an ounce or less of cannabis, the penalty is $100-$200 as opposed to a year in jail and a $5,000 fine, which were the previous penalties. As major countries continue to pass laws legalizing cannabis, even in small island states and territories, marijuana has become a relevant topic, and a hot subject of debate. Marijuana reformation is in the air, and legalization is no longer an issue that’s isolated to specific continents and world regions. Reformation is happening virtually everywhere.